Scoliosis is a condition of the spine, where normal vertical alignment is lost to varying degrees and replaced with side to side curvatures. Standard screening for scoliosis tends to only be sensitive for those children & adolescents who have severe and disabling lateral curves to the spine. Most often, mild to moderate cases may go unnoticed. 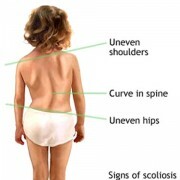 When undetected until a later stage, scoliosis is harder to correct, if at all. In the majority of children and teenagers the cause of scoliosis is unknown, thus it is called idiopathic – Adolescent Idiopathic Scoliosis or AIS. There are many different factors which are theorized to contribute to cause idiopathic scoliosis. No one cause in particular has been agreed upon in the medical or chiropractic literature. Your posture, joint alignment, muscle control and balance is a representation of how your brain works. People who have, or a likely to develop, idiopathic scoliosis may have a nervous system which is not integrating proprioceptive (body position sense), visual and vestibular input correctly and therefore not programming the correct ‘postural’ output. If the brain cannot adequately recognize asymmetries in straight upright posture, during static AND dynamic positions, in the first place… how can it coordinate the needed corrections in muscle tone and joint position? Because of this posture, muscle tone, balance, coordination and obviously in the case of scoliosis ALIGNMENT is all affected to varying degrees. This in turn can lead to a myriad of other afflictions such as headaches, back pain, disc injury, shoulder injuries, ankle injuries and many more. What is different in scoliosis patients? By working to correct and rehabilitate adequate upright posture, muscle tone, balance, coordination and joint alignment, Chiropractors can help to retrain the neuromusculoskeletal system in spinal positioning and control. This in turn can help relieve the symptoms of headaches, back pain, disc injury, shoulder injuries, ankle injuries and many more! Globe G, Morris C, Whalen W et al. Chiropractic Management of Low Back Disorders: Report from a Consensus Process. Journal of Manipulative and Physiological Therapeutics November/December 2008: 651-658. Rubinstein SM, van Middelkoop M, et. al, “Spinal manipulative therapy for chronic low-back pain,” Cochrane Database Syst Rev(2): CD008112. doi:10.1002/14651858.CD008112.pub2. PMID 21328304. Dagenais S, Gay RE, Tricco AC, Freeman MD, Mayer JM (2010), “NASS Contemporary Concepts in Spine Care: Spinal manipulation therapy for acute low back pain,” Spine J10 (10): 918–940. doi:10.1016/j.spinee.2010.07.389. PMID 20869008. Leininger B, Bronfort G, Evans R, Reiter T, “Spinal manipulation or mobilization for radiculopathy: a systematic review,” Phys Med Rehabil Clin N Am22 (1): 105–25 (2011). doi:10.1016/j.pmr.2010.11.002. PMID 21292148. Bronfort G, DC, PhD, et al. “Effectiveness of manual therapies: the UK evidence report,” Chiropractic & Osteopathy2010, 18:3. 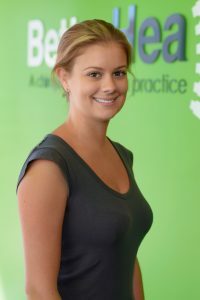 Senna, MK, Machaly SA, “Does maintained spinal manipulation therapy for chronic nonspecific low back pain result in better long-term outcome?” Spine36(18):1427-1437 (2011).